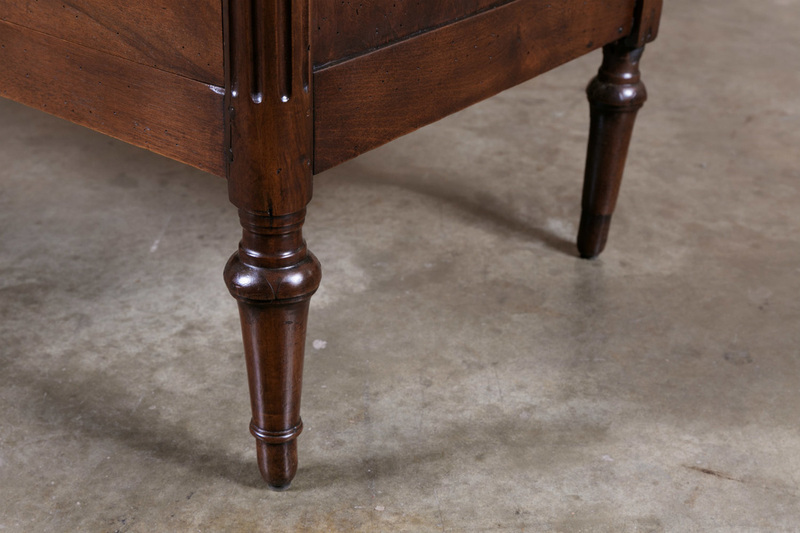 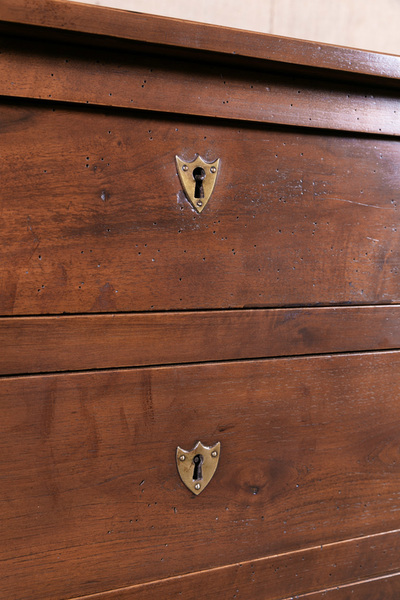 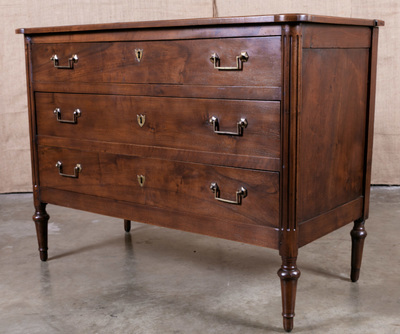 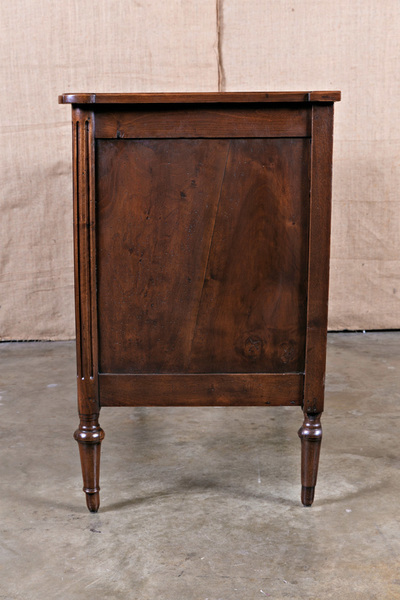 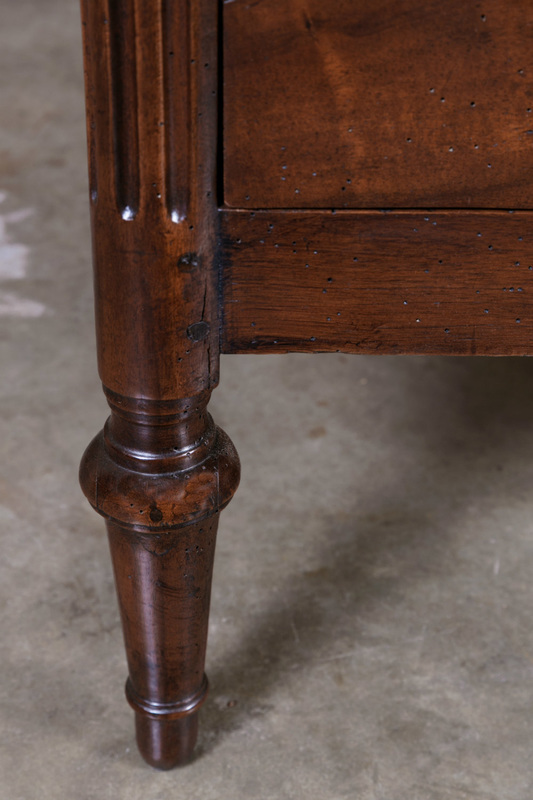 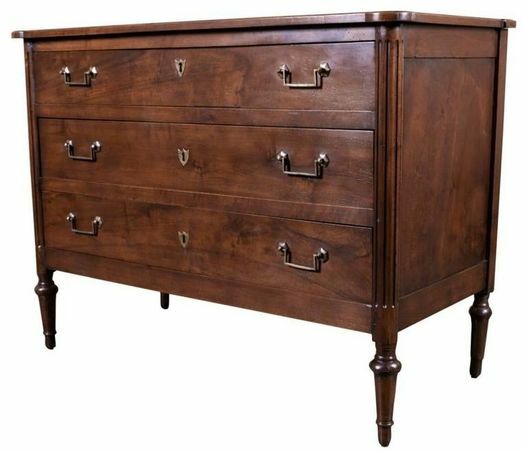 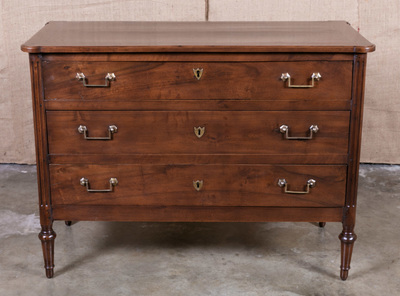 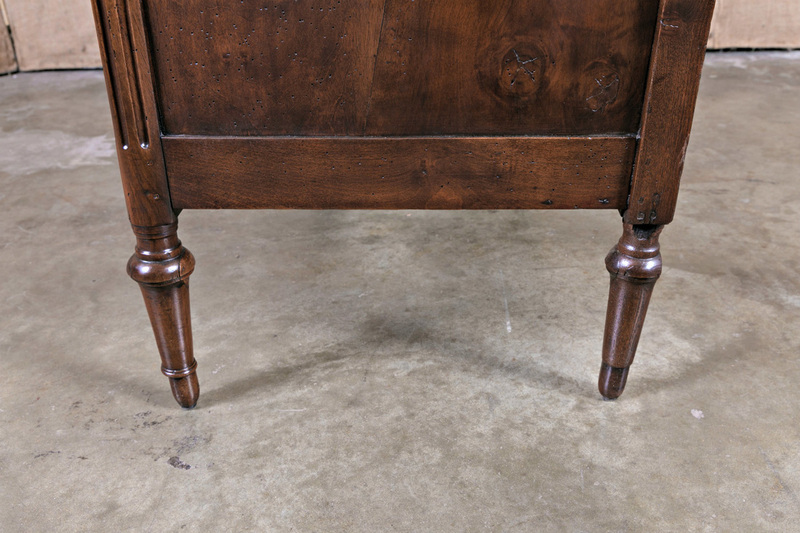 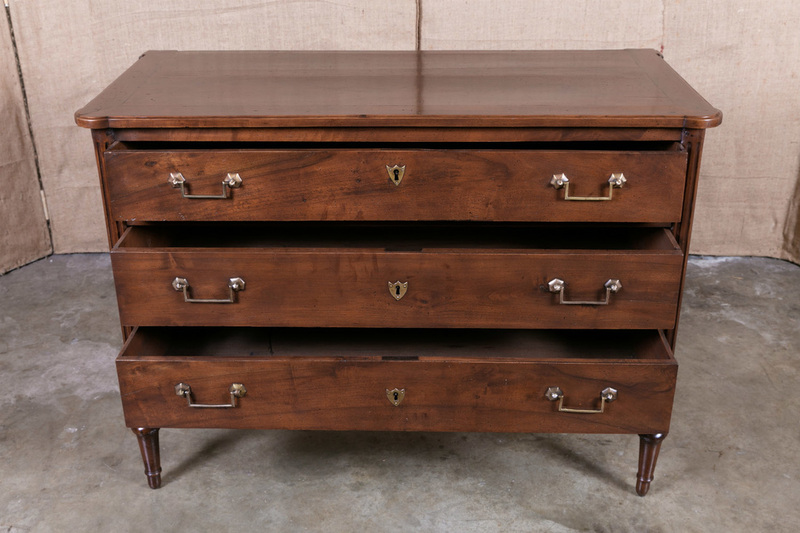 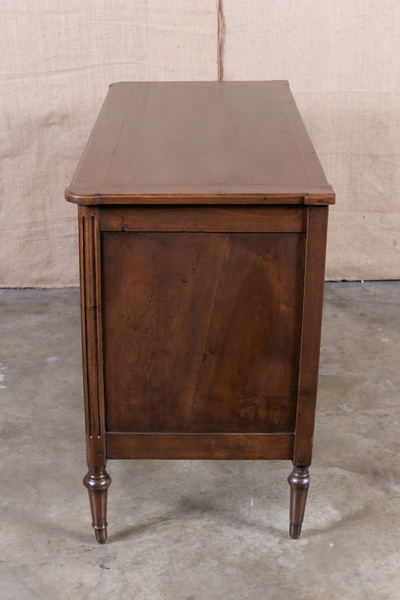 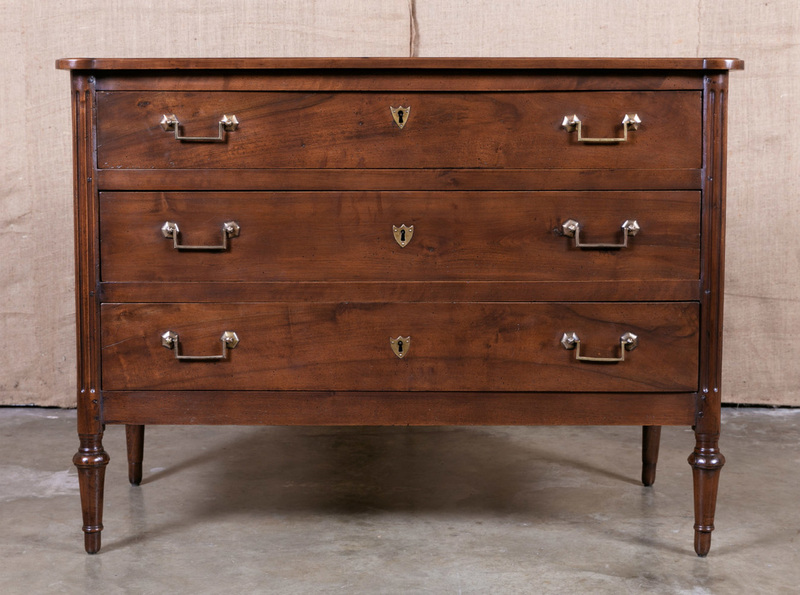 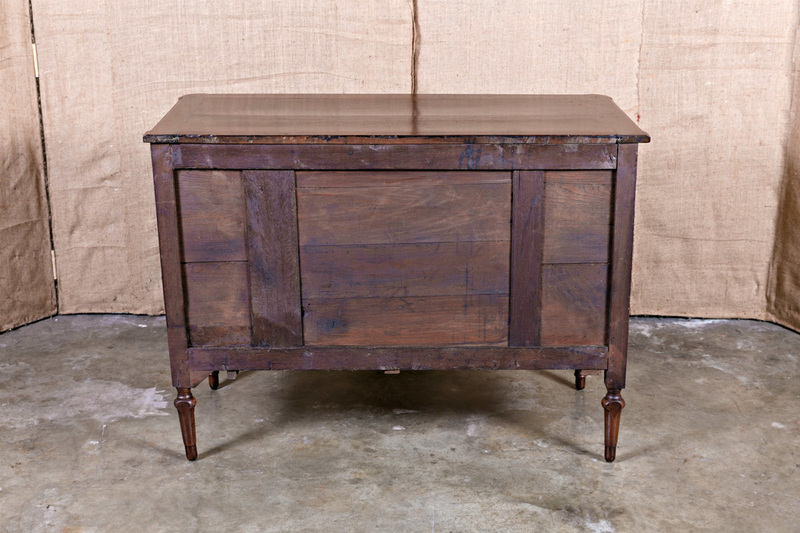 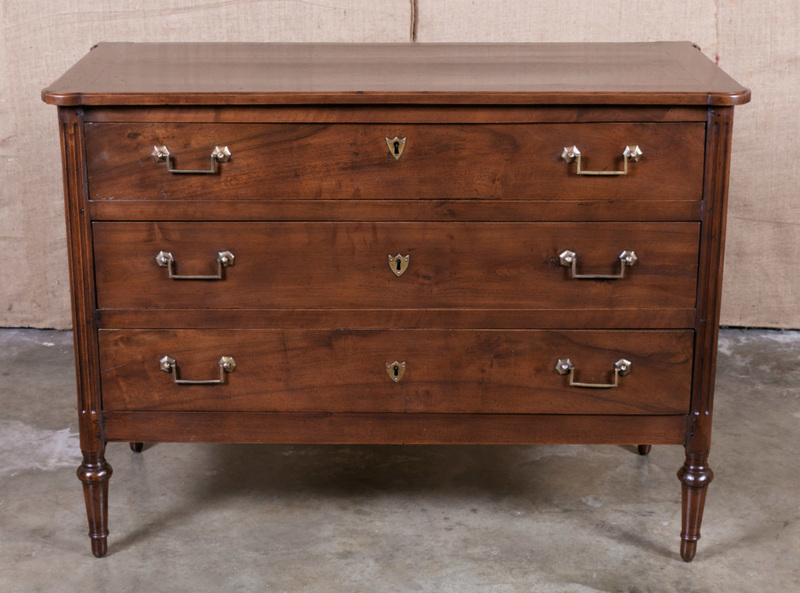 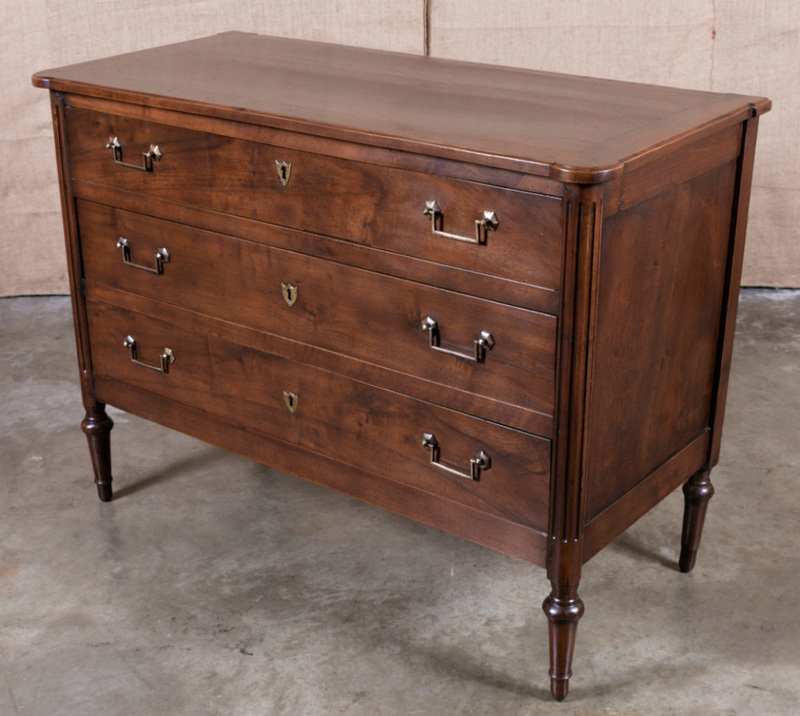 Beautiful 18th century French Louis XVI period three-drawer commode with original drop bail handles flanked by turreted reeded columns sitting on toupie feet. 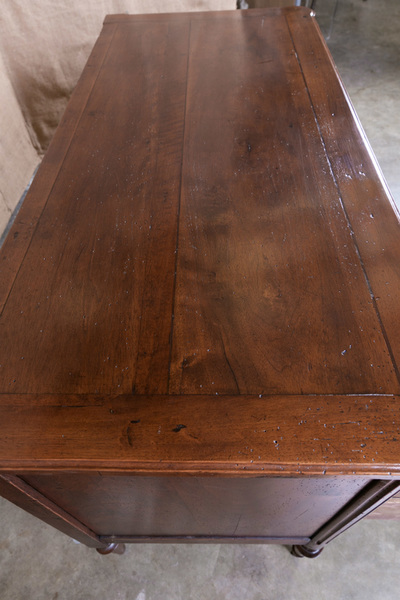 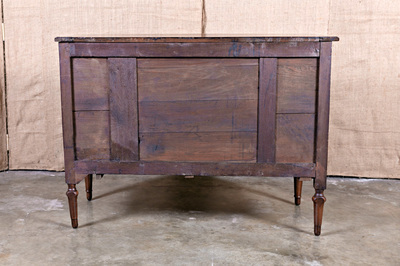 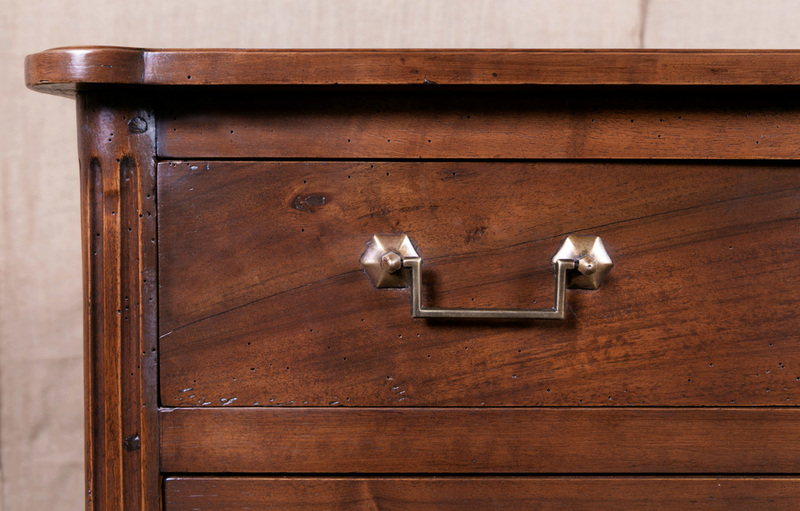 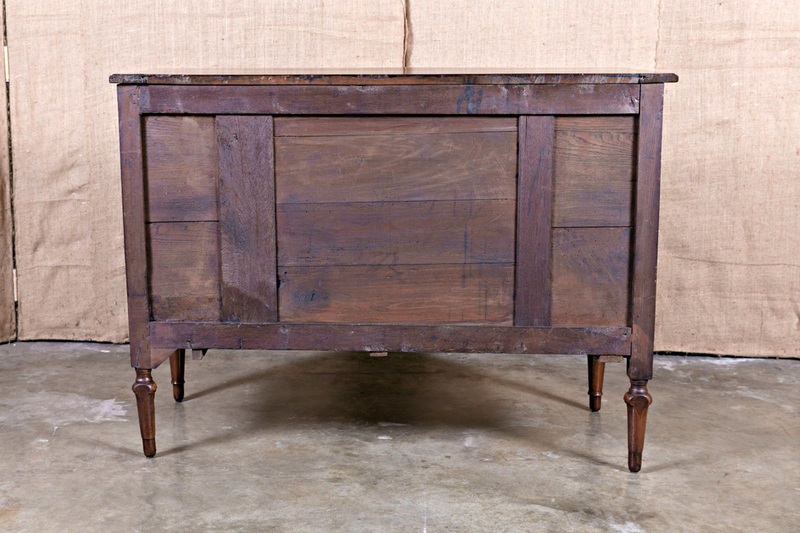 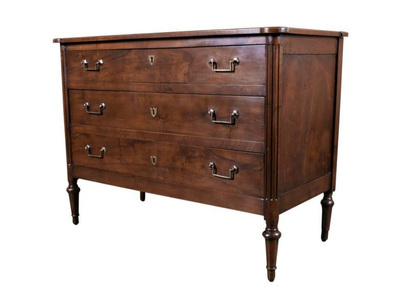 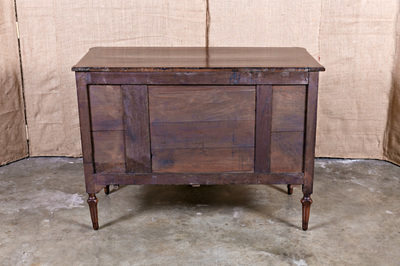 Handcrafted by rural artisans of solid walnut, having a very nice warm patina. Circa 1780s. The clean lines complement both contemporary and traditional interiors.